Any wedding is magical – how could it not be, with such a romantic sentiment at its heart? We know that there is something extra special about the perfect destination wedding. Here are the answers to some of the most frequently asked questions couples ask. A destination wedding is choosing to travel somewhere different and exciting instead of having your wedding near your home, often in a sunny destination where couples can combine both a wedding and honeymoon. Intimate or expansive, a destination wedding is as flexible as you need it to be. Does a Destination Wedding Cost More than a Normal Wedding? Looking at the average spend, a destination wedding costs nearly four times less than a UK wedding, coming in at £7,000 compared with £24,000. Part of the reason is because destination weddings tend to have fewer guests, but some of it is also down to exchange rates, and venues and suppliers costing less in different parts of the world. Is Planning a Destination Wedding Complicated? Language barriers and lack of local knowledge are easily overcome with the help of a destination wedding planner. Not only do they have the best supplier contacts, they know what is a good price to pay. They can also help you organise any necessary paperwork. What Are the Legal Requirements for Getting Married Overseas? Every country has its own legal requirements for getting married. 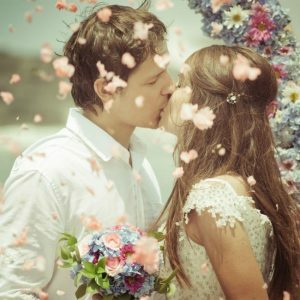 Many couples decide to bypass the paperwork by holding a private marriage ceremony in the UK followed by a formal commitment ceremony and celebration abroad. How Long Does it Take To Plan a Destination Wedding? 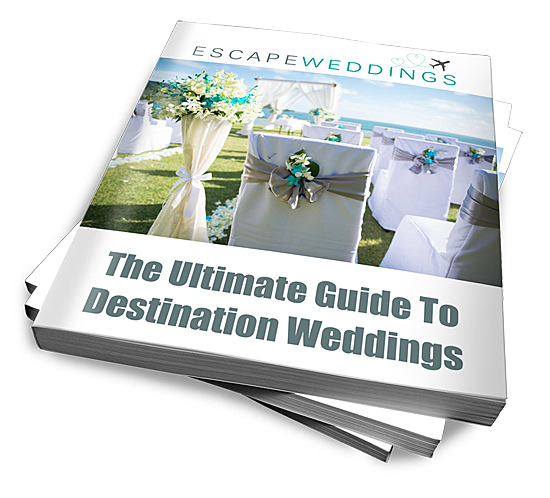 While arranging a destination wedding normally takes less time than one in the UK, you should start as far in advance as possible to get the best deals on flights and accommodation, and to give your guests enough notice for them to arrange their travel and holiday time. Do I have to Get Married on a Beach? 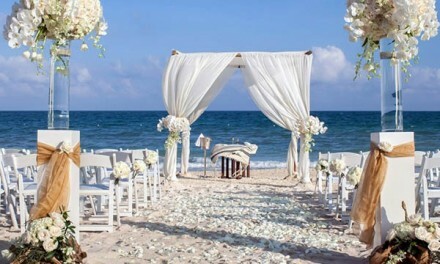 Getting married on a beach is just one of countless options for your destination wedding venue. You could marry in a Spanish cathedral, a French vineyard chateau, an ancient Portuguese fort, or a luxurious Mexican seaside resort. You are only limited by your imagination (and your budget). Do I have to Pay for Everyone? Couples pay for the wedding celebration, and usually an introduction or get together meal the day or evening before the ceremony. Depending on your ceremony location you may also pay for transport to and from your wedding, as well as arranging a shuttle to and from the airport if most people are arriving together.Guests pay for their own transport and accommodation, as well as any non-wedding related activities they choose to do. Get in touch if you want to know more about planning a destination wedding. There is nothing we love doing more than helping happy couples have the day of their dreams, wherever it is. 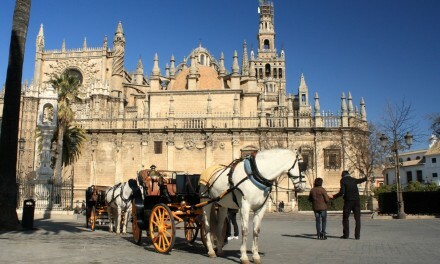 NextAre You Planning A Destination Wedding in Spain?